Offenders often do not feel concerned by the declaration of co-ownership. In other cases, the breaches derive from a lack of knowledge of its content. The board of directors must therefore ensure that it is applied rigorously. Therefore, it must intervene with the persons concerned, by communicating in writing with them to remind them that they have obligations. In general, this is enough to stop inappropriate behavior. If the interventions of the board of directors do not give results, requiring the services of an experienced lawyer in co-ownership law could be necessary. This legal expert will send a formal notice to the concerned party. It will describe the facts reproached to the latter, and will remind the noncompliant party of the consequences of not complying with the declaration of co-ownership. In the event that all these steps are unsuccessful, the board of directors have the option of having the non-compliance of the declaration of co-ownership ascertained by a court bailiff. The latter can describe in details, in a bailiff's ascertainment, the annoyances caused by the co-owner. The bailiff's ascertainment has probative value before the court. The declaration of co-ownership may contain a penal clause. The latter provides fines to co-owners who are disrespectful of the rules established in the co-ownership (article 1622 of the Civil Code of Quebec ). The penalty clause is a deterrent in that it provides for a pre-established amount of damages to be paid. It provides the syndicate with a coercive tool whose application is inexpensive, and which may avoid expensive legal recourses. If the formal notice does not produce any results, it is not necessarily useful to start legal proceedings immediately. The board of directors may, in certain circumstances, call upon a mediator to find acceptable solutions or compromises. Article 1 of the Code of Civil Procedure requires the parties to consider the use of a private dispute prevention and resolution process (PDRD), before even thinking of going to court. In this regard, declarations of co-ownership generally provide for a mediation mechanism, which will be much less expensive than going to court, all the more so if it allows the resolution of the problem. In some cases, the declaration of co-ownership may provide that in case of failure of the mediation, the dispute will be submitted to arbitration . If it is impossible to find common ground, the syndicate will have to compel the co-owner to respect his obligations by a judicial decision ordering the latter not to do or to stop doing something. An application for an injunction will be the ultimate weapon to achieve this. It will be ordered by a judge of the Superior Court of Quebec. An injunction proceeding must be prepared and filed in court, either by the syndicate or by any co-owner who suffers the prejudice. It is generally the syndicate that institutes the proceedings. In divided co-ownerships, article 1080 of the Civil Code of Quebec provides for recourse for an injunction. It should be noted that the syndicate or a co-owner can obtain an injunction order without having suffered serious or irreparable injury . However, the order of the sale of the co-owner’s fraction can be granted only if the injury suffered by the syndicate, or by one of the co-owners is considered serious or irreparable. The law also allows any co-owner to act personally to defend his or her own interests, if he is of the view that he suffers injury from another co-owner for a violation of the provisions of the declaration of co-ownership. This could happen, for example, if the damage affects the enjoyment of his private portion, such as a neighborhood disturbance. However, a recourse for an injunction can be expensive, which is why a co-owner will tend to ask the syndicate to take the initiative. In case of refusal or negligence by the syndicate to exercise this recourse, the co-owner could act on its behalf. The fact remains that the syndicate remains the custodian of the declaration of co-ownership, pursuant to article 1039 of the Civil Code of Quebec . This means that it may have to compensate the co-owner-plaintiff, for the fees the latter has paid to his lawyer to assert his rights. Beyond the recourse for an injunction, the purpose of which is to enjoin a co-owner to respect the declaration of co-ownership, in certain circumstances damages may be requested, and sometimes the resiliation of a lease. The by-laws of the immovable are binding on the co-owners and, in principle, on the occupants and lessees of the immovable. A legal recourse could therefore be instituted against these people. Article 1079 of the Civil Code of Quebec provides that "the syndicate may demand the resiliation of the lease of a private portion, after notifying the lessor and the lessee, where the non-performance of an obligation by the lessee causes serious injury to a co-owner or another occupant of the immovable ". The criteria for an application and the steps to be taken to obtain this resiliation are similar to a recourse against a co-owner. The only differences are the following: this application can only be brought by the syndicate, after notifying the lessor and the lessee, who will have the opportunity to cure the situation of default. 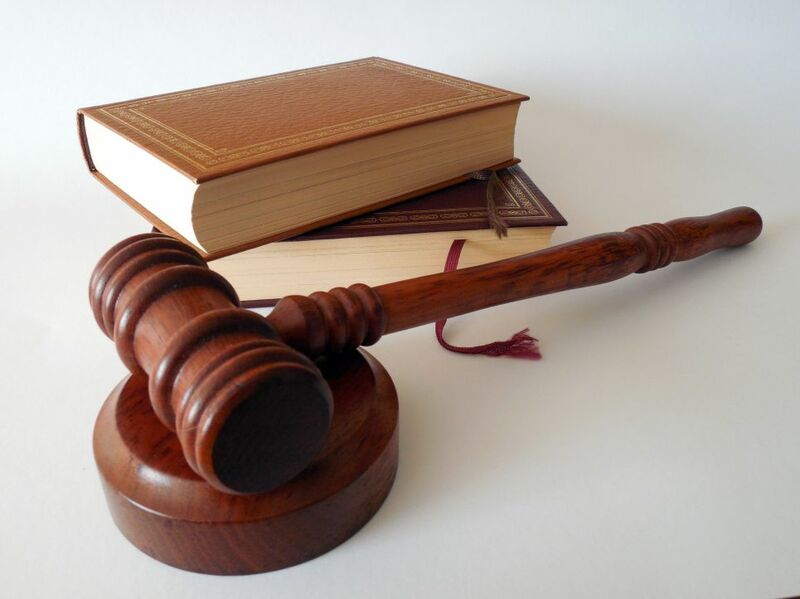 It should be noted that a judgment rendered before the Rental Board may result in the resiliation of a lease, if the seriousness of the tenant's fault is deemed sufficient. The syndicate may also, in addition, sue the lessee for damages he has caused to the co-owners’ community. It should be noted that in order to blame the lessee for non-compliance with the by-laws of the immovable, a copy must have been given to him by the co-owner-lessor. If he has not done so, the syndicate can do it for him. The basis of this type of recourse is civil liability, which may be "contractual", in the event of a breach by a co-owner of an obligation contained in the declaration of co-ownership, or "extracontractual" if the fault alleged is the breach of obligation under the law. A decision rendered by the Court of Québec - Small Claims Division, condemned a co-owner-lessor to pay $ 15,000 in damages to a co-owner for neighborhood disturbances (excessive noise) that took place over a long period of time. This judgment confirmed that the co-owner-lessor is responsible for neighborhood disturbances attributable to his lessee. He must therefore ensure that the latter complies with the general obligations of good neighborliness, as well as to the provisions of the declaration of co-ownership. Keep in mind that in this type of recourse, the co-owner-lessor can assert his rights against his lessee, in relation to the amounts he could be required to pay. WHAT YOU SHOULD KNOW ! Mediation is a conflict resolution process that requires the presence of an impartial mediator, whom the parties will have chosen by mutual agreement. This mediator has no power of decision or of constraint: his role is to allow the parties to present their point of view, all the while avoiding that the discussions degenerate. He must also identify the points of interest of the parties, to help them find acceptable solutions or compromises. To find out more on mediation, you may want to consult “le centre de médiation et arbitrage en copropriété inc”. (Mediation and Arbitration in Co-ownership center Inc). WHAT TO KEEP IN MIND : The penal clause is a provision that allows the syndicate of co-owners to impose penalties to a co-owner, or even a fine, when he does not comply with the rules set out in the declaration of co-ownership. The sanction is pecuniary, that is to say that the co-owner must pay an amount of money. The penal clause must be sufficiently detailed for its application to be simple. WARNING! The civil liability of the syndicate may be engaged when it commits a fault in the exercise of its functions, and this fault cause injury. If the syndicate does not act to enforce the declaration of co-ownership, it may, under certain circumstances, engage its civil liability and that of its directors. It could also be required to reimburse the amounts the co-owner has disbursed to enforce the declaration of co-ownership.